In this article, we will introduce to you 10 must have WordPress Plugins. When building a WordPress site, your main objective is to use as few plugins as possible. However, not everyone who uses WordPress is a PHP maven. Fortunately, these must have WordPress plugins won’t bog down your site. Some of them will actually help your site to run faster and more efficiently. 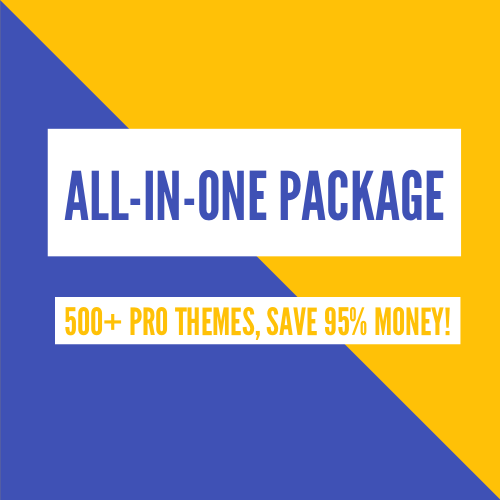 Every one of these plugins is used on all of my WordPress sites. They help me to manage tasks that would be difficult to otherwise, and they provide features that are necessary for any successful WordPress site. At SitePoint, we’ve written about must have WordPress plugins before, however in this article I’ll cover my own ‘must have’ plugins – the 2014 edition. Whether or not you’re a Search Engine Optimization master, Yoast is the go to plugin for SEO for your WordPress site. You can control every aspect of your SEO endeavors using this plugin. This plugin is great for handling meta descriptions and other SEO tasks. This plugin is also great for on page SEO. You can also control things like your robots.txt file, and it will generate your site map for you. This makes it extremely easy to submit your site map to Google, Yahoo and Bing on a regular basis. The thing I like the most about Yoast’s SEO plugin is the fact that it analyzes your article and makes suggestions based on what you’ve done. It’s handy to have this reminder, letting you know that you’ve forgotten something important, such as using your keyword in a heading, etc. Yoast’s plugin gives you an overall score, depending on how many points you’ve hit properly. One of the things that you’ll encounter when running your WordPress site, is the creation of extra post revisions and drafts. One of the most important aspects of running a successful WordPress site is keeping your database healthy. Getting rid of this extra data will help to keep your database running quickly and efficiently. WP-DBManager allows you to do this with just one click of a button. One of the most annoying things that can happen while trying to run your WordPress site, is that you’ll experience a lot of spam comments. One way to fight these spam comments, is to use a WordPress plugin that’s been around for many years, called Akismet. Akismet has been the trusted face of comment spam prevention for as long as I can remember. One of the most important aspects of your site’s success is the relationship that you develop with your readers. Making it easy for your readers to comment on your posts will spawn interactions and generate buzz for your site. Disqus is a plugin that makes it easy for users to login with their Google+, Facebook, Twitter or Disqus accounts and make comments. Users can also vote for other people’s comments, which promotes interactions between the visitors of your site. One of the toughest parts about WordPress is keeping it running fast. Just like any other type of website on the web, it’s important to keep your images optimized. The smaller that you can make file sizes, the quicker your site will load. The problem with this is, if you are uploading a lot of images to your site, you may not have time to go in and optimize and compress each image. That’s where WP Smush.it comes in. With a click of a button, you can choose to compress all the images stored on your WordPress site. Sometimes, you can save up to 30% or 40% for each image. If you multiply that by 100 images, you just saved a lot of bandwidth. There are steps that all WordPress users should take to optimize their sites. Using a caching plugin like W3 Total Cache can greatly improve performance for your WordPress site. It performs object and browser caching, which is important for making your site load for users. Caching means that a user doesn’t have to re-download all assets every time someone visits your site. The initial load may take longer, but every subsequent page load will be much quicker. This plugin may not be something that you have installed on every site, but it’s definitely one I keep in the back of my mind when certain situations arise. Where this plugin comes in handy is mainly when you are switching themes and none of your images or thumbnails look right. This can be frustrating, but the quickest way to fix this problem isn’t to redo all of your thumbnail images by hand. The solution is to use the regenerate thumbnails plugin. With a click of your mouse this plugin will go through all of your thumbnails and regenerate them instantly. You may have to sit there for a minute or two and let it run its course, but it will handle all of your thumbnail images on its own. This is one of the most useful plugins I keep on hand when needed. Security is of the utmost importance when it comes to any WordPress site. There are tons of plugins out there that promise to keep your site safe and secure. In my opinion, the best security and backup plugin available is called VaultPress. This plugin will automatically backup your site at intervals that you specify. To battle the possibility of being hacked, VaultPress will perform a daily scan of your site. If it finds something, you can have your database repaired with one click. Not only is this plugin easy to use, but it provides peace of mind. You want your website visitors to be able to get in touch with you, so they can ask you questions and provide feedback if needed. Unfortunately, not every WordPress theme comes with a built in contact form. Contact Form 7 is one of the best contact form plugins for WordPress. You can customize each form field to meet your needs. You can also create some pretty advanced forms without knowing how to code them. Contact Form 7 allows you to place your contact form anywhere on your site using a short code. You may not always want visitors to send you an email when filling out a contact form on your website. Sometimes, you need to collect this information so that you can compile it into a spreadsheet for later. There are many uses for collecting information via forms, and Contact Form DB will allow you to save form submissions on your WordPress database. Then, if you need to organize this information, you can export the data as a CSV file. This will allow you to open it in Microsoft Excel. This plugin not only works with Contact Form 7, but it also works with Fast Secure Contact Form, Gravity Forms, and Jetpack Contact Form plugins.